You now have a few choices to make that wont take a moment. Due to the popularity of this product, it sells quickly. So we'll need to check availablity before you can purchase it. Add the item to your enquiry form and carry on browsing or, fill in our form straight away by enquiring now. We need to check availablity before you can purchase this item. Celebrating our absolute love for Gin, we present to you a fabulous cocktail masterclass featuring gin based concoctions! Get behind the bar and get hands on! Before you know it you’ll be shaking and muddling your way to cocktail heaven. 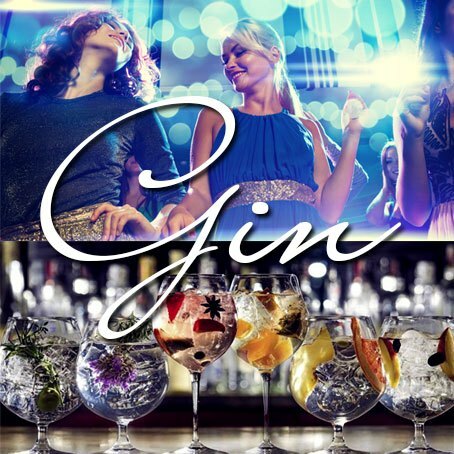 Complete with games, challenges and exciting demonstrations this gin based class is ideal for groups wanting an interactive experience. With the emphasis on fun and enjoying your favourite tipple, we can’t recommend this great workshop enough. For those of you who aren’t totally in love with gin (shock horror!) alternatives can be offered on the day. A welcome glass of Prosecco and a shooter to finish is included. Each person gets to make and drink at least one cocktail. The minimum group size for this package is 8 people. Party food platters are included after the 1.5 hour class.